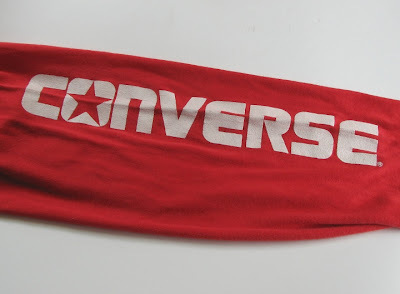 Hello world, welcome to the Converse Blog's Friday Flashback. 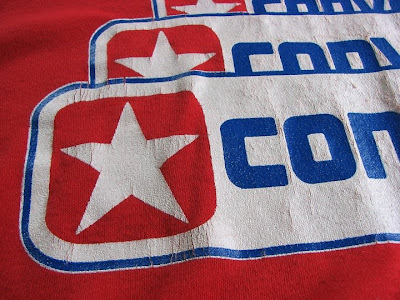 Today we're going to take a look at a Converse hoodie. I know what you're thinking, a hoodie post in July? Why not? I love hoodies and so should you. So lets just get to it. 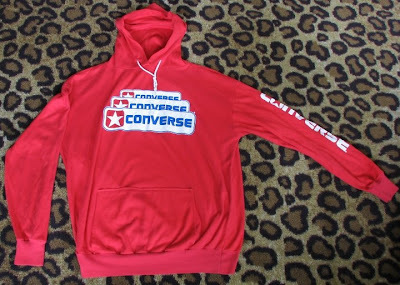 This hoodie features one of my all time favorite Converse logos. I hope you enjoy. Thanks for checking out the blog, have a great weekend and we'll see ya'll Monday...unless any news breaks on any rookies that Converse sings. Man..I'd love a hoodie like that. How long ago was this in production? I'm not for sure, it had to be sometime in the 80's though. It would be awesome to get one though. 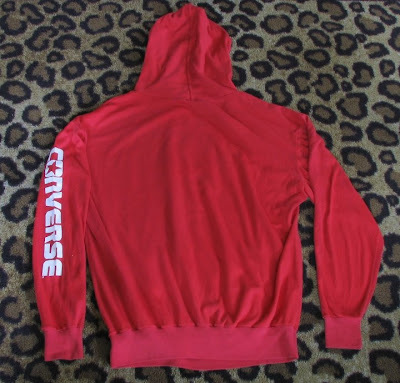 This hoodie was on ebay back in july, but sadly it was sold before I could get it :( Haven't been able to find another one since!